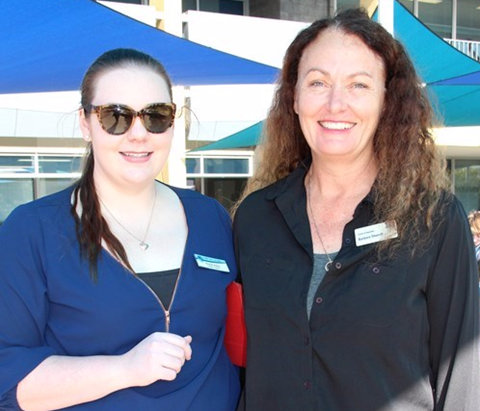 Comet Bay College attended and presented at the inaugural STEM Innovation Expo at the Crown Convention Centre recently. 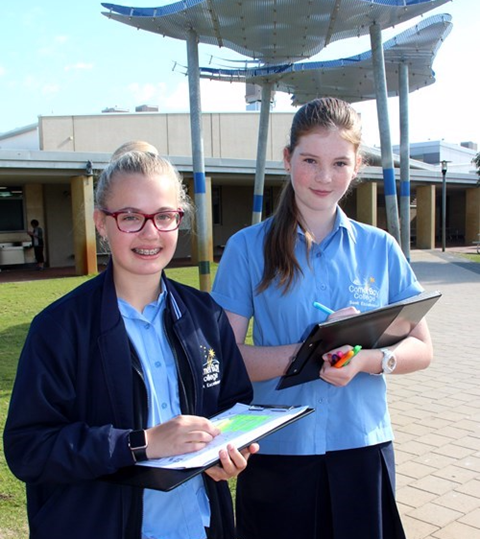 Western Australia’s best minds in science, technology, engineering and mathematics – known as STEM – joined public school leaders and teachers committed to inspiring students for the high-tech future. Industry experts, including burns specialist Professor Fiona Wood AM and WA Chief Scientist Professor Peter Klinken, joined teachers who led demonstrations to inspire students about STEM. CBC is one of the leading schools in the state in regards to the STEM initiative. We are currently part of a STEM Teacher Development School (TDS) Partnership between the Department and the Innovation Unit. As such we are a lighthouse school for leading teacher development in STEM activities in schools. 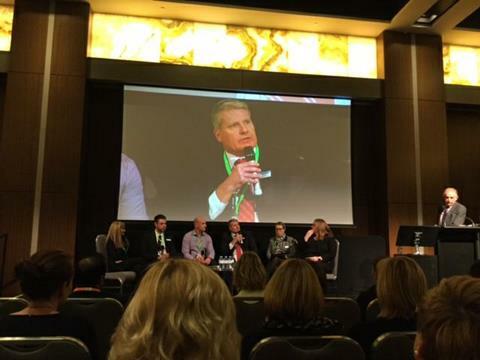 Our Principal, Jamie Hayres was a part of the official panel discussing how Comet Bay College got to where we are now and the challenges we were engaged in. Teacher Simon Bell and the Physical Education Team coordinated a successful Athletics Interschool Team Competitors Trial Day this term. Students from Year 8 -12 participated in various track and field activities. Each station was managed and scored by the Year 11 & 12 students currently studying Cert II Sport Coaching as part of their Assessments. The students were enthusiastically challenging their personal best and we had some great performances on the day. Would you like to donate your unwanted uniform items to Student Support and they can, with the help of the College Chaplains offer them to students in need. Your kindness and community spirit would be greatly appreciated. 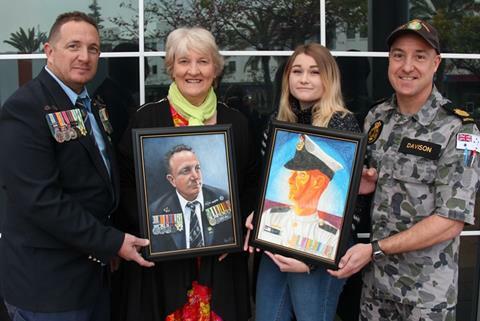 Comet Bay College student Amy Smith was one of the artists who spoke about her experiences of participating in the Portrait of a Veteran Project. Amy talked about her art journey and future goals, to a gallery full of other artists and interested community members. Well done Amy for representing the college and yourself so professionally. 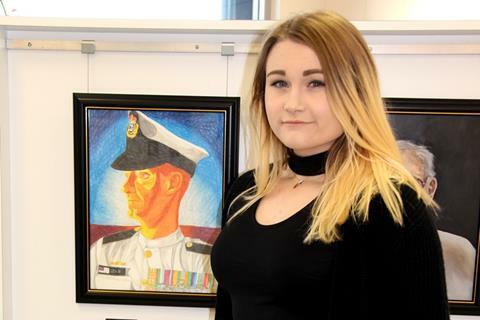 42 Portraits were on display and 7 artists presented at the ‘Meet the Artist’ event. 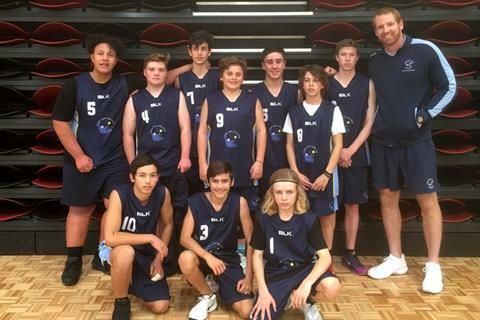 Comet Bay College students took part in the School Sports WA Lightning Carnival that was held at Mike Barnett Basketball Stadium in Rockingham. The selection process was very competitive and 5 girls and 5 boys were selected from each year group of the 8 and 9 Basketball extension classes. 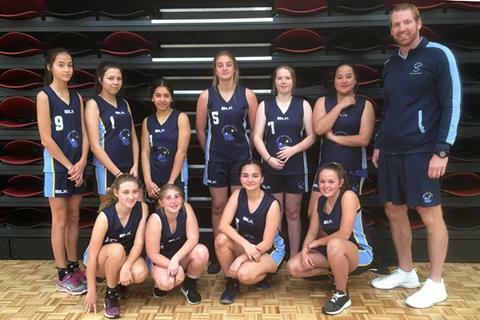 Our Girls team played 6 games in total, winning against Warnbro and Divine Mercy. And the boys team came 2nd overall in the carnival, which advances them through to the next carnival against the best teams in the state. 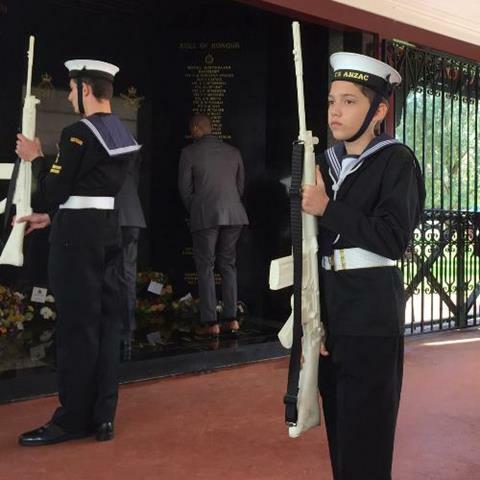 A few Comet Bay College students represented their cadet units proudly at two different services held in honour of those who served in the Vietnam War. Teacher Shabana Tagore hosted an exciting Bake-Off with her Year 11 Food Science & Technology class as part of their assessment. Students were invited to be an exhibitor in a local cookery competition centred on flour-based products. 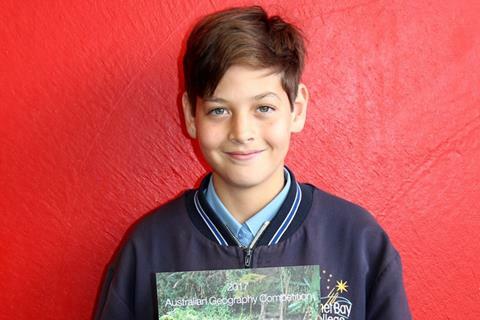 Students from Years 7, 8, 10 and 11 participated in the challenging 2017 Australian Geography Competition. This year the Competition saw an increase in participation numbers with more than 70, 000 students from over 740 schools taking up the challenge. Thank you everyone who donated towards such a worthy cause. Every dollar raised on the day helps scientists at Children’s Medical Research Institute discover treatments and cures, to give every child the opportunity to live a long and healthy life. Our parent Teacher Interview Evening was well attended. 291 parents/guardians booked a total of 1,125 interview appointments across all Learning Areas. What a wonderful night was had by all at the Comet Bay College Year 12 Ball. Held at the Esplanade Hotel in Fremantle, the students and staff members enjoyed a lovely meal and danced the night away. Everyone looked amazing in their gorgeous dresses and handsome suits. Thanks go to Year 12 Coordinator Martin Donohue, for organizing this memorable night. We held a Personal Best Luncheon for students who had been identified as aiming for their personal best in the classroom. The table was set and a delicious spread of food was prepared for them in recognition of their efforts. Students researched how we are impacting on the local community with our choice of building materials and landscape design. Infrared thermometers were used to test areas of shade/full sun/brickwork/metal including grass vs fake grass and determine how the different materials affect the temperature. Students tested hot spots in the school and aimed to come up with a proposal on how to fix the heat island effect. 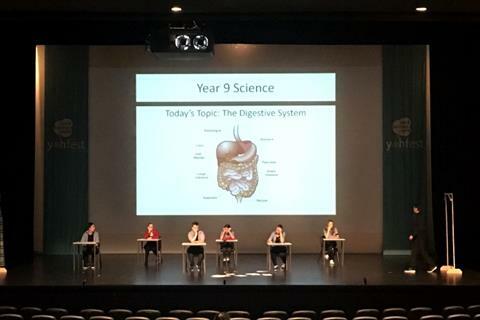 Ros Avery’s Year 8 Science Class participated in the STEM project with ECU and Scitech. Emily Galvin (Yr 12), Taylor Richards (Yr 10) and Nell Cooper (Yr 10) modelled extravagant Wearable Art fashion as ‘Moving Mannequins’ at the State Finals of the Apex AustraliaTeenage Fashion & Arts (AATFA) Youth Festival. Olivia Webb (Yr12) modelled during the showcase and also former Comet Bay College student, Malia Bennett, sang two songs as part of the event entertainment. 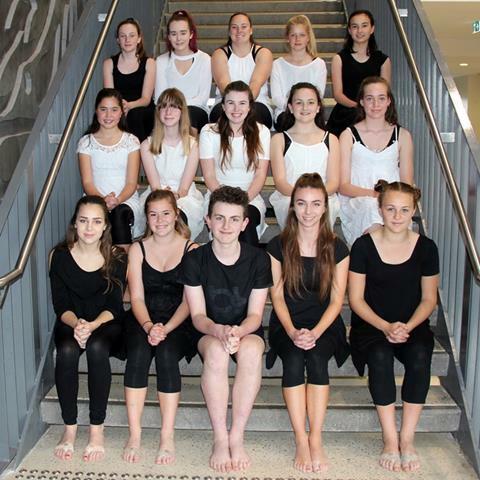 Choreography for the dance was created by Year 8 student Joseph Cook. The dance symbolically represents the birth of a child, raised…grown, like a tree. Then, the pressures and prejudice of the world, homophobia, gender inequality, racism; all loom and press inwards, trapping the 'tree' from developing as it should. We have just received news that the dancers have been chosen to perform in the finals, meaning they are in the top 8 in this state competition. 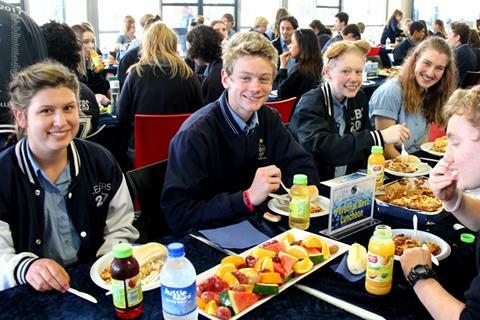 Every year Comet Bay College promotes healthy eating by organising free fresh chopped up fruit and vegies at recess and fruit smoothies and vegie dips at lunchtime for all students to coincide with Fruit and Vegie Month in September. Our health promotion activity this year was our biggest event ever thanks to generous donations of supplies from Coles Secret Harbour and Woolworths Secret Harbour which enabled us to run this event again. 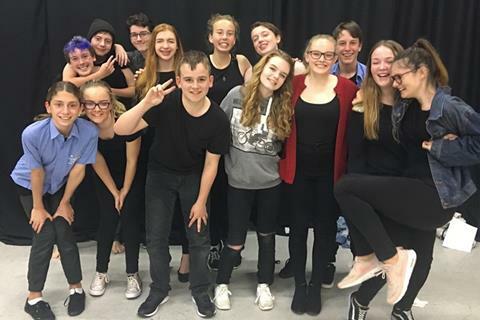 Our Year 9 Drama Extension class performed a piece that was written and directed by our very talented students and Drama Teacher Jenna Lund. 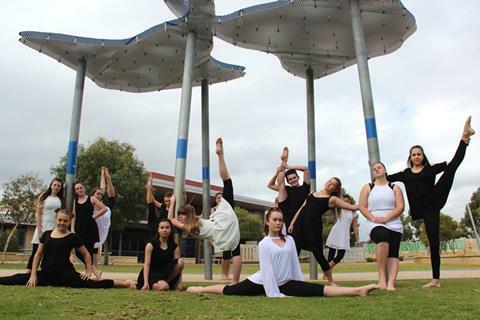 This brilliant performance was a part of the Act-Belong-Commit YOH Fest and a testament to the young talent we have here at Comet Bay College. This year’s theme was ‘It Starts With Me‘.We named our performance, ‘It Starts with Us’ and it featured different ways of paying it forward, through small acts of kindness in interweaving narratives – all linked together with the symbolic use of a red umbrella. 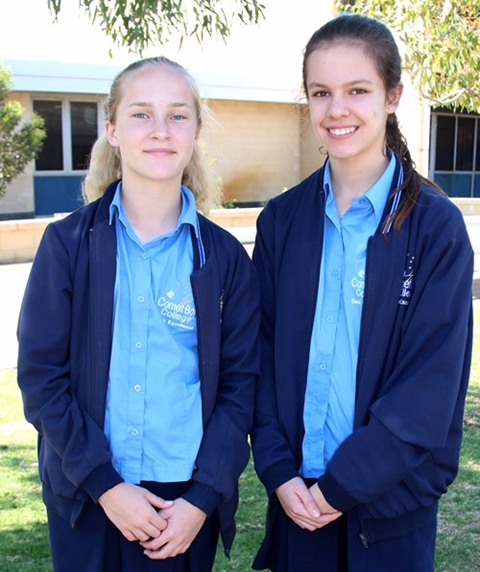 Jaxon Thorne, Paterson Grove and Katie Robson competed in the Secondary Schools Golf Championship held at Mt Lawley Golf Club on 14th August 2017. Despite the weather conditions the students did very well in the teams event finishing third. This is a great result as its the first time Comet Bay College has entered the event. The students of Community Services Certificate II were involved in the animal farm as part of their course work, looking at the ‘Managing Stress’ unit. Students were required to be able to identify emotions and ways and places in which they felt relaxed. The animal farm had a task set around the visit where students had to describe how they felt in different situations. 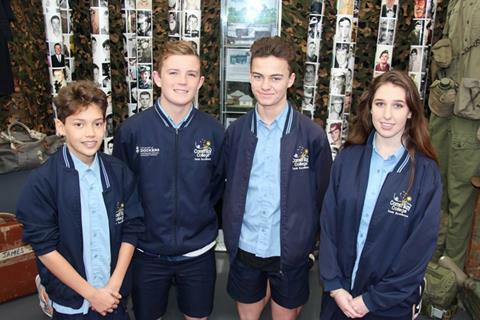 Representatives from Defence Force Recruiting visited our college to present to the Year 12 students career opportunities available in the Australian Defence Force. They discussed different ways to join the ADF, including direct entry, university pathways and reserve positions available. 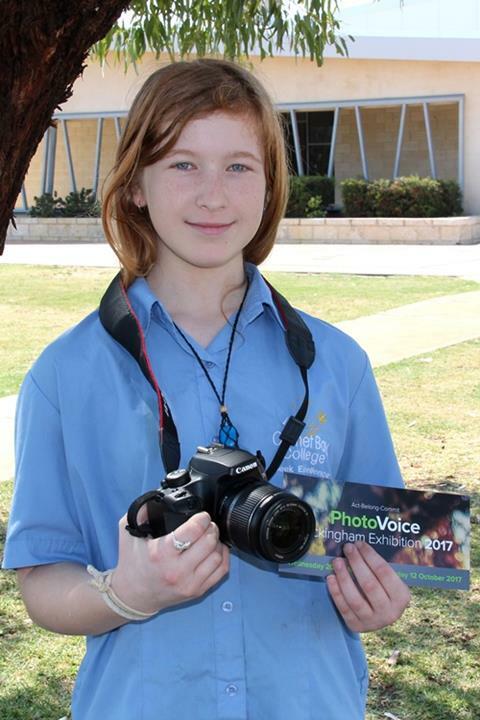 Year 7 student, Letisha-Louise Fyfe recently entered the 2017 Act-Belong-Commit Photovoice Rockingham competition and we are pleased to announce that her submission “Human Letters-CBC” has been selected as a Finalist. The photo below was taken by her on our Year 6 Orientation Day whilst she was flying and operating the camera on the college drone. She combined different art techniques and it makes a play on words being similar to ‘college’. Letisha used 3 different software packages to create the collage, producing a great result. Year 12 Food science and technology cooked a three course meal as part of their course requirement. This delicious menu was carefully prepared for the invited family and staff members. Our Year 12 Human Biology classes are currently studying the trends in primates and hominids and how they link to evolution. So a trip to Perth Zoo was a perfect opportunity to strengthen their understanding of this topic. 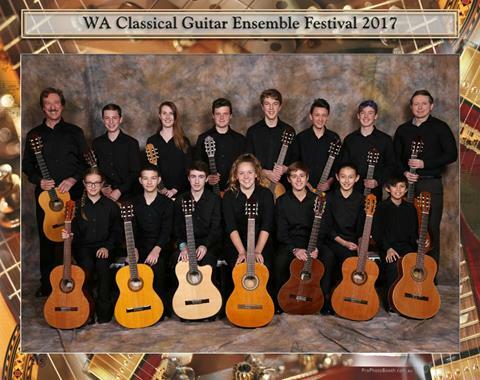 The Comet Bay College Classical Guitar Ensemble participated in the WA Classical Guitar Festival again this year, marking their fourth festival performance since 2014. A record 72 ensembles from 40 government and private schools and from UWA & WAAPA participated in the 29th festival. This year the school’s ensemble were awarded ‘Outstanding’ by Australian and Internationally acclaimed concert guitarist Karin Schaupp and for the first time were . 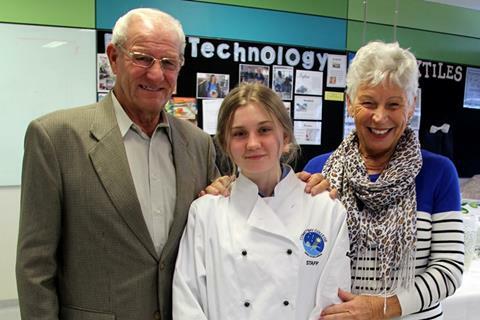 Each year, Teacher Julie Coyle includes a community focused activity as part of the Home Economics curriculum. The Hero Bag project was coordinated as a small gesture of gratitude to our local service men and women. 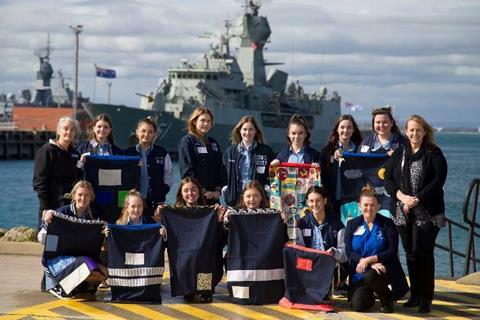 The Hero Bags are used as Laundry bags, for easy identification of their dirty clothes on the ships and submarines or to store their personal items on board. We are thankful for their service. Year 7 students Antaliya Drakulic and Lara Reeves Students gained an impressive 3rd place in the UNEP-DHI Eco Challenge Australia as organised by Kim Flintoff, Curtin University (in association UNEP-DHI Center for Water and Environment) and facilitated by CBC Humanities and Social Sciences teacher, Rebecca Odger. An outstanding result to place 3rd out of 270 teams from across Australia. Students completing the Certificate II in Creative Industries were visited by ABC News Presenter James McHale. During his presentation, Mr McHale discussed the importance of becoming multi-skilled as a reporter – being able to write, present, record and edit your own news stories. Mr McHale has been working with the ABC for the past 9 years as a field journalist and television presenter. As part of their studies, the Year 11 Geography ATAR class went to Millbrook Winery to see wine production occurring as part of studying wine production and diffusion for Unit 2. Millbrook is an award winning winery located in the hills surrounding Jarrahdale. Would you like to include a community notice in our college newsletter or have a news story about one of our students? Please note places are limited and inclusion is subject to approval from the Principal.